According to the Huffington Post, Madonna does it better. Better than Beyonce, that is. 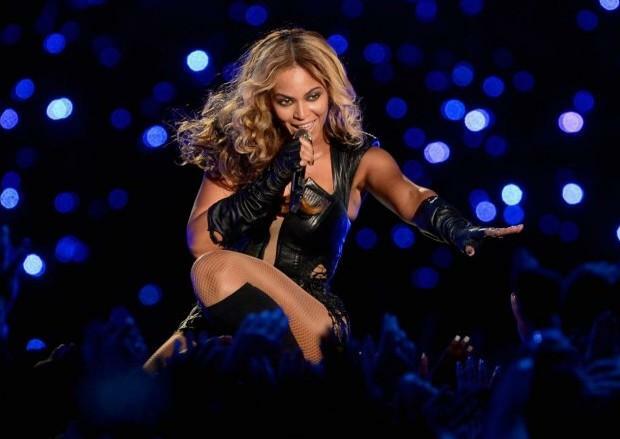 Using television viewership estimates as their official yardstick, huffingtonpost.com declared that Beyonce’s performance at the 2013 Super Bowl halftime show failed to measure-up to Madonna’s 2012 12-minute extravaganza. Madonna stopped the nation, 112.5 million of them anyway, while Beyonce secured a paltry audience of 104 – million. The Huffsters normally get these things right. But, on this occasion, we think Beyonce’s hustle in the Pepsi Super Bowl XLVII halftime show had more (male) head-turning ability. I mean, Madonna is 54. 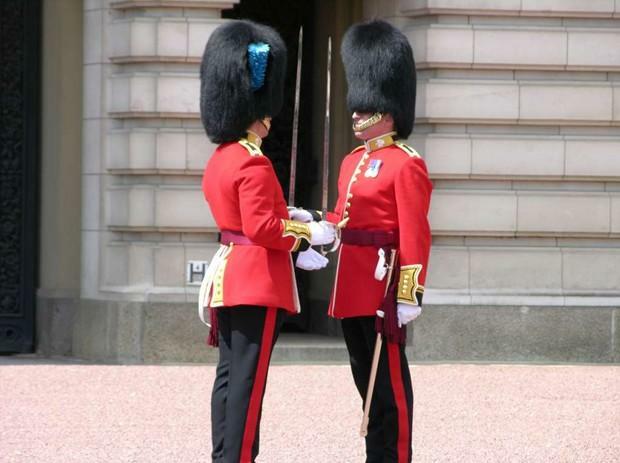 It’s a simple changing-of-the-guard – new and fresh, replacing old and has-been. While Madonna has assumed the thrown for 30 plus years, the status quo has shifted to Beyonce’s sassy stardom. The same thing is happening in the Business Intelligence (BI) world. Gartner’s 2012 BI Magic Quadrant survey demonstrated that an increasing percentage of business (non IT) people were utilizing BI software. Of the 1,364 respondents to Gartner’s 2012 BI Magic Quadrant survey, only 38.9 percent identified themselves as pure “IT”, with 20.8 percent listing themselves as a “business user”, while 40.3 percent said they had “blended business and IT responsibilities”. The shifting demography and skillsets of BI users has significant implications for BI technology. Essentially, vendors can’t assume an analytics background anymore. According to research from Information Masters, are 75 percent of BI success is determined by factors other than data and core analytical technology – so thinking about how data is presented, shared and discussed, in order to enable effective decision-making, is paramount. Significantly, Gartner claims that around 80 percent of BI projects fail, citing poor communication and collaboration as the primary reasons. 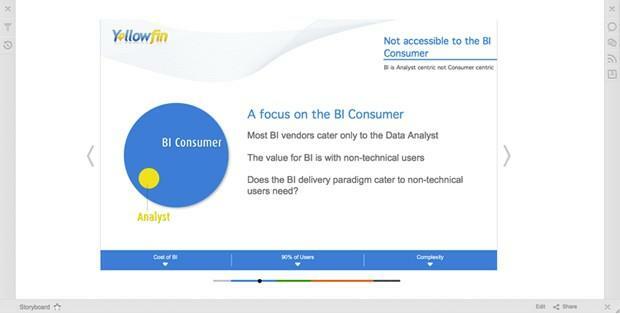 Whilst many prominent industry analysts have stated the importance and potential of adding Collaborative BI functionality to BI solutions to solve these issues and meet the needs of this new user demographic, most collaborative capabilities offered by the marketplace miss the mark. Despite 87 percent of professionals believing that “collaboration tools can have a positive impact on analysis and decision-making activities”, of those using BI solutions that already contain collaborative features, only 16 percent actually use them (Wayne Eckerson’s Collaborative Business Intelligence: Optimizing the Process of Making Decisions). So why have the current methods of collaboration failed to boost BI ROI? Ventana Research CEO, Mark Smith, suggests the problem is that many BI vendors fail to assist BI users to collaborate around BI content, and make decisions from that learning, in natural ways. Industry veterans Claudia Imhoff and Colin White echo Smith’s sentiments, proclaiming that: “A collaborative BI environment that is designed for the wrong types of users will not be used and will not provide a good return on investment”. Crucially, when respondents to Eckerson’s study were asked to list their preferred method for making decisions, 92 percent of survey participants listed “hold meetings”. People like to make crucial decisions together; face-to-face. Why would it be any different when acting on the information produced by BI? Decision-making – especially when making important ones – is an inherently collaborative process. And how do people communicate important information for decision-making purposes within a meeting? Via presentations. 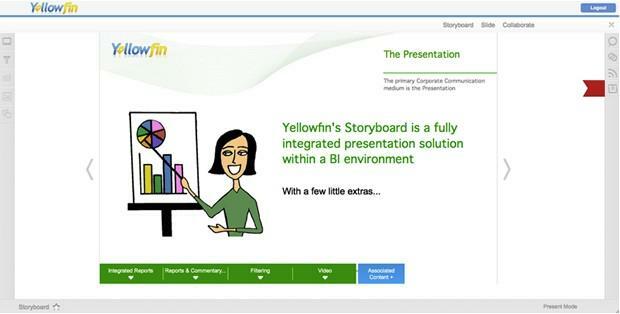 Yellowfin’s Storyboard is a revolutionary new approach to BI and business communications that addresses that need. By blending BI with a comprehensive presentation platform, Storyboard enables users to integrate fully interactive data-rich presentations into their natural decision-making processes, to generate an analytics culture, realize ROI and drive real fact-based action. In part one of this blog series – Compelling storytelling with next-generation Collaborative BI (Why we reckon Storyboard beats PowerPoint: Part 1) – we outlined why Storyboard was more effective for the communication and distribution of BI content and analysis than the ever-prevalent PowerPoint. Today, we’ll give you six more reasons why Storyboard trumps PowerPoint for the communication of data-based business information. The ability to apply Global Filters to embedded reports: We’ve all had that PowerPoint disaster. The one where we developed a presentation that was suitable for one audience, but somehow it made its way into the hands of another. Storyboard allows you to easily create a presentation suitable for multiple regions or clients. Applying Global Filters to a report, or set of reports, within a Storyboard allows that presentation to be viewed by multiple audiences, while ensuring they can only view the data relevant to them. For example, the General Sales Manager for Big Corporation might want to prepare a Storyboard for a series of regional end-of-year sales meetings. 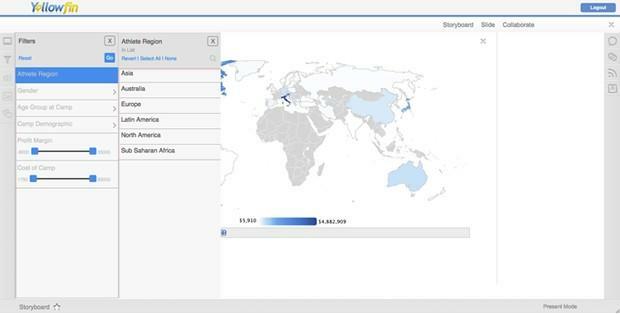 By applying Global Filters to the sales reports embedded in that Storyboard, he knows that each region will only be able to view their region-specific sales data. Associated Content: There are few things worse than sitting through an overly long PowerPoint presentation that has far too many slides that detract from the speakers’ core arguments. Storyboard’s Associated Content feature lets users easily add additional content to their core presentation. Associated Content lets users add up to five secondary slides to each primary slide within a Storyboard, to help substantiate or contextualize key concepts, without detracting from the overall presentation narrative. Add Notes, private and public comments: The ability to add notes to each slide in a PowerPoint is useful. It allows you, as a presenter, to remind yourself of the crucial points you want to emphasize. But when you’re working on a group presentation, you don’t always want to share all of your thoughts with everyone involved. By contrast, Storyboard allows individuals to add personal notes to Storyboard slides that only they can view. Comments can be private or public. Private Comments can only be viewed by the original author and selected individuals. Public Comments can be viewed by any user with permission to access that Storyboard. PowerPoint files can become enormous: You’ve stayed in the office past midnight. The air-conditioning has been switched off, and you’re sweating it out. But, you’ve finally finished that PowerPoint presentation. Now, all you need to do is send it to your co-presenters. But now the file is too big to send! What do you do? Well, because Storyboard is Web-based, you’ll never have to worry about that problem again – simply share with whoever you want, whenever you want. Visualizations: Utilizing visualizations in PowerPoint is a true ‘catch 22’. If you don’t, your presentation may appear boring and dull. However, adding eye-catching animations to a PowerPoint presentation can distract and detract from the core messages that you’re attempting to convey. With Storyboard, you’ll never have to worry about this trade-off again. 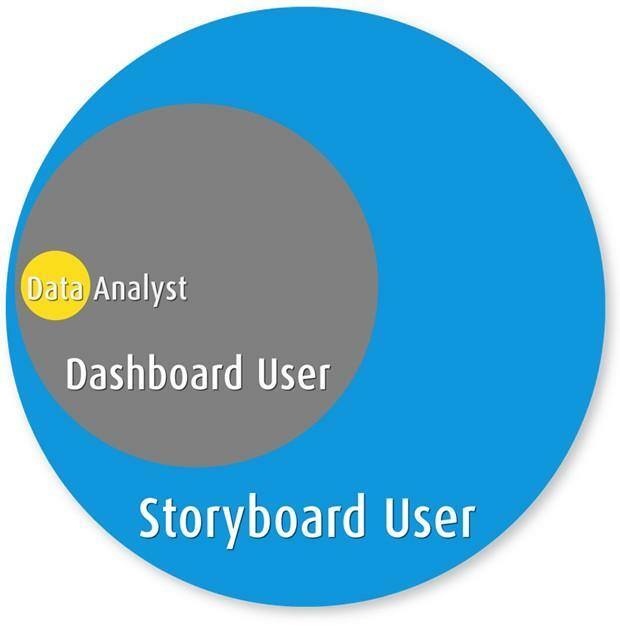 Storyboard allows you to embed fully interactive charts and tables into any slide. This information is not only engaging, it’s central to your presentation – it helps to explain and underpin your reasoning for taking certain action.